Easter is a moveable feast and falls very late in 2014. In 2014 Easter starts on Palm Sunday on Sunday 13th March 2014. There are parades and processions in Barcelona on Palm Sunday. Most Easter parades are on Good Friday – called “Divendres Sant” in Catalan and “Viernes Santo” in Spanish. Good Friday in 2014 is on Friday 18th April 2014. Easter Sunday is 20th April 2014 and Easter 2014 ends on “Lunes de Pascua” Easter Monday on Monday 21st April 2014 and is also called “Diá de la mona de Pascua” which is Easter “mona” cake day. Good Friday and Easter Monday are public holidays so most shops in Barcelona are closed, but restuarants and museums are open. 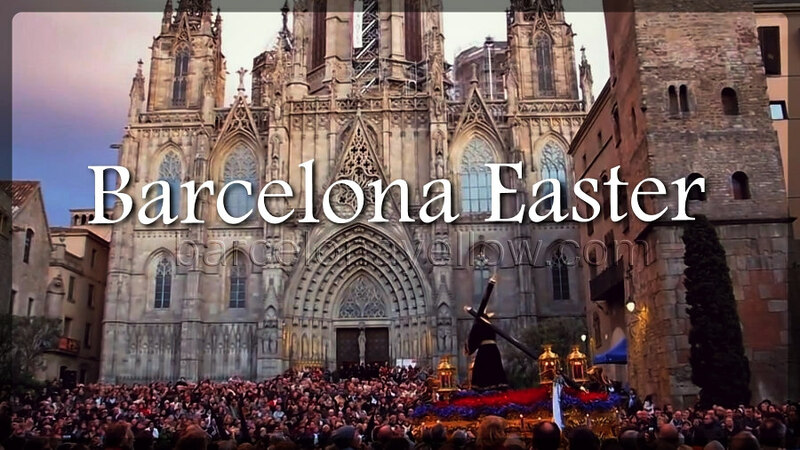 Visit this Barcelona Easter Guide page to read about Barcelona Easter week and Easter processions and traditions. Small group tours Barcelona Easter. This entry was posted in Barcelona Easter, Barcelona Tips, What to do in Barcelona and tagged barcelona easter, semana santa, what to do easter Barcelona on April 18, 2014 by admin.